Hilary is a mother figure and protector to all dogs who are neglected, homeless and in need. I named her after a real person named Hilary who volunteers for dog rescues and has many rescued dogs in her home, whom she is devoted to. 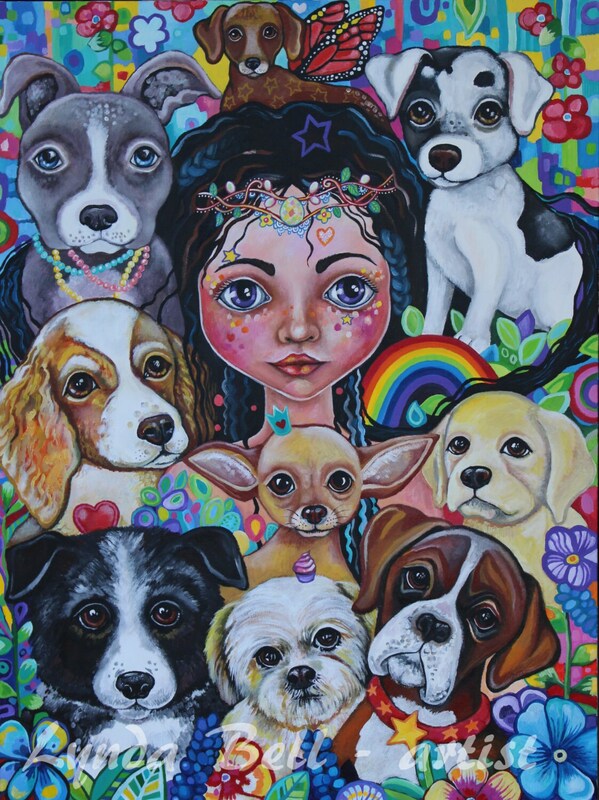 This painting is a depiction of her and of all the people out there helping and saving dogs and puppies, and for those who simply love them.